Calling all book lovers! 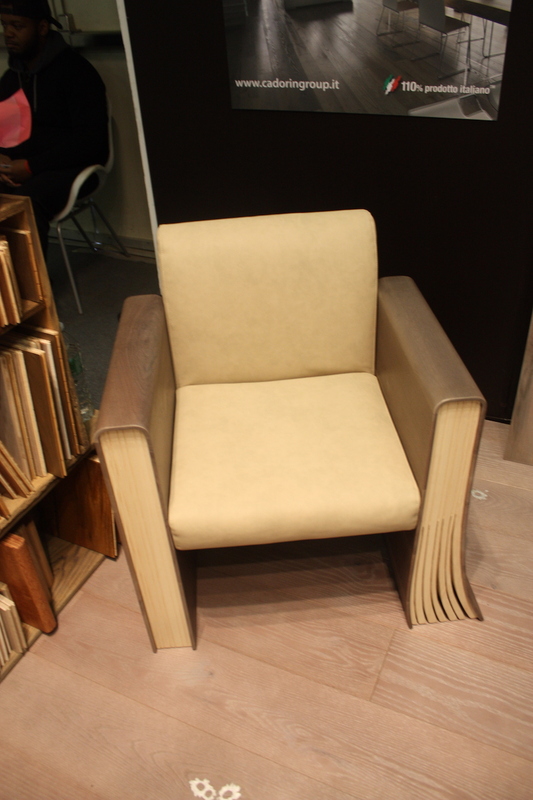 This chair by Toc de Toe interior design from Italy is available in different wood species such as walnut, oak, cherry, mahogany, pine, oak. 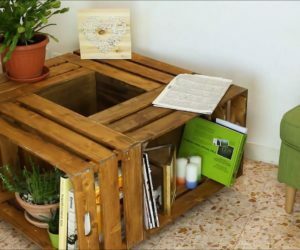 The company also creates benches, coffee tables, consoles and shelving along with their distinctive wood flooring. Brooklyn-based Richard Haning creates stunning works from tiny pieces of repurposed wood. 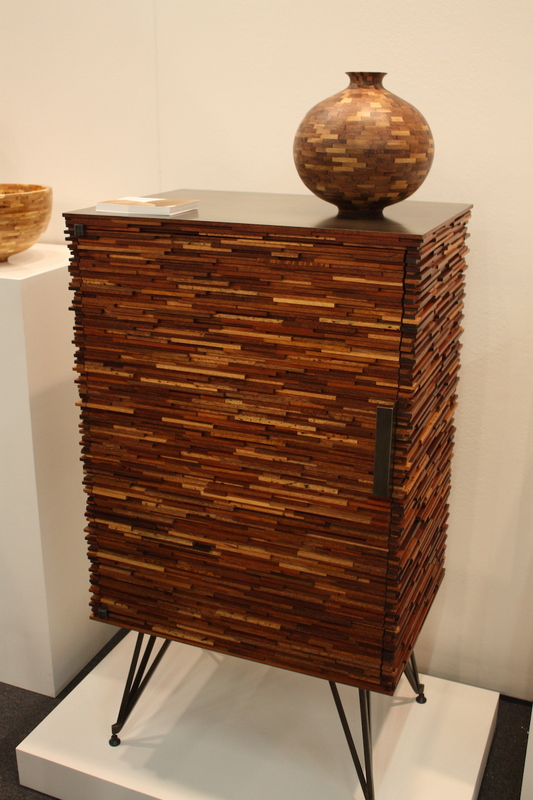 Whether it’s his round vessels or this stunning stacked cabinet, they are finely crafted works of art for your home. 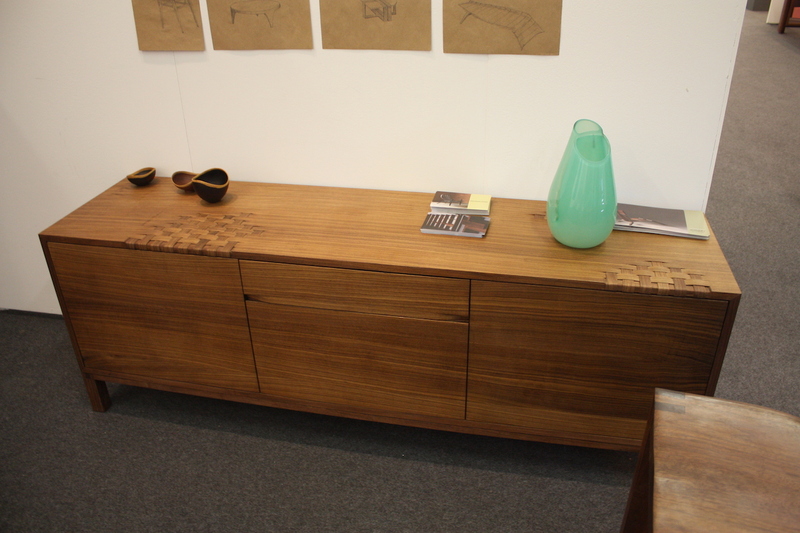 Take a closer look at this gorgeous credenza and you’ll see areas of wood that appear woven — because they are. 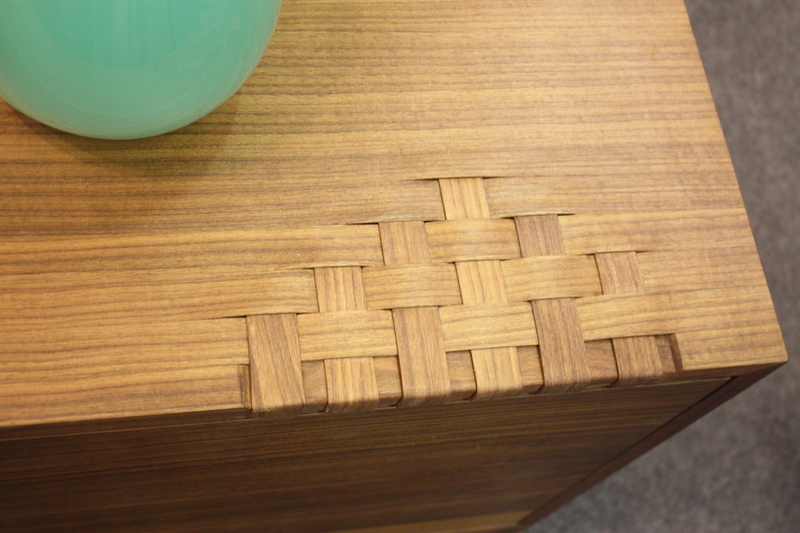 A career in fashion design seems to have influenced Don Howell, whose Weave Credenza top is fashioned from strips of wood, woven in random areas. This sunburst design becomes more spectacular when you find out what it is made of: Individually manipulated pieces of straw, placed into a sunburst mosaic. 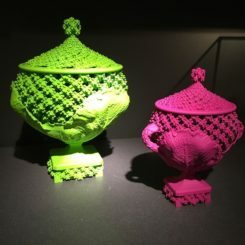 Santiago Salgado’s straw pieces are available in a range of three colors. His other furnishings are equally elegant and special. 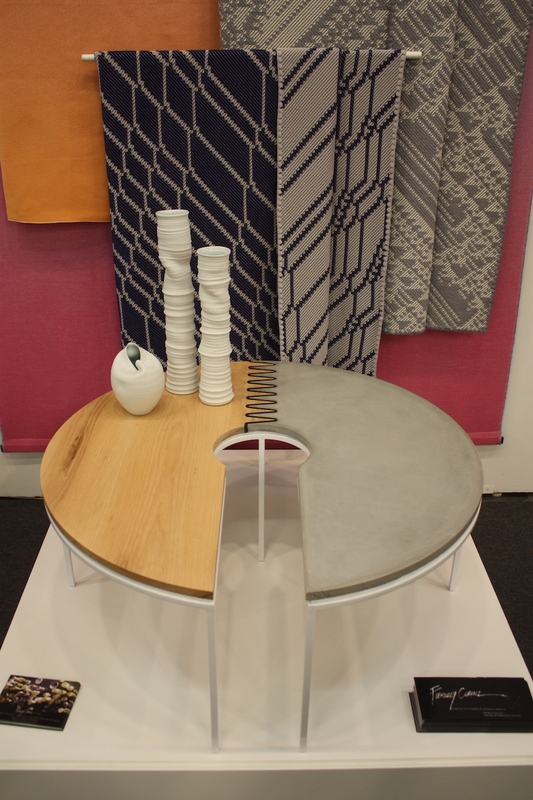 This charming table is by Debra Folz Design. 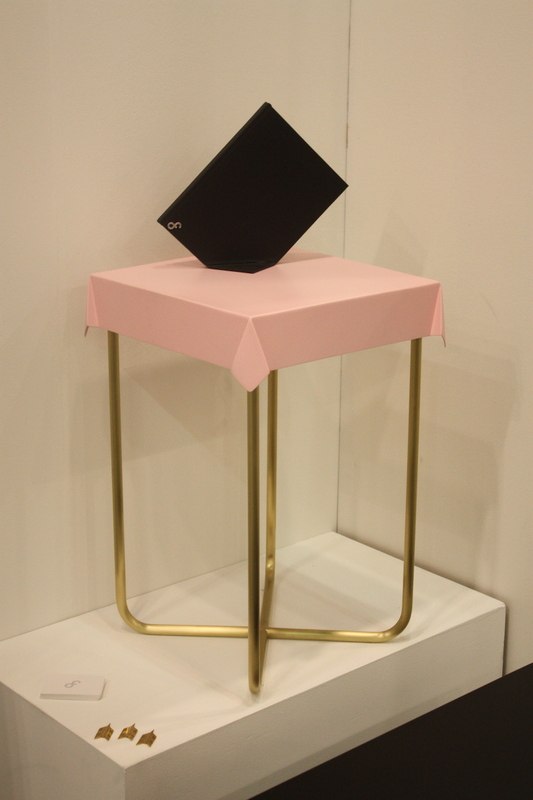 From her “Drape” series, it is made from powder-coated steel, with a corner detail that mimics a fabric covering. 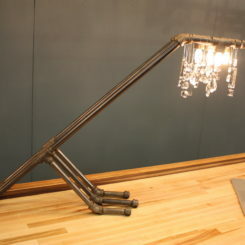 The base is tubular steel plated in brushed brass or nickel. 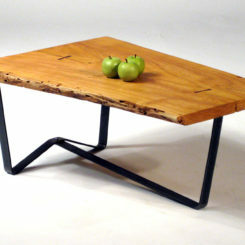 The series includes a side table, coffee table, and desk, all available in custom sizes and colors. 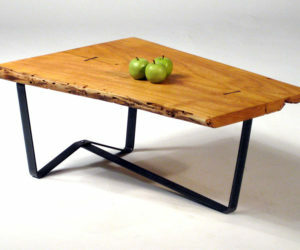 Fiercely Curious of Brooklyn presented this handmade table by Carlos Meza of Black Table Studio. 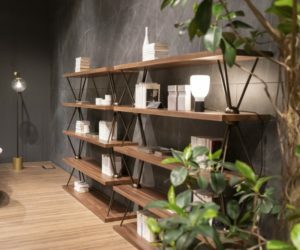 Created from solid white ash wood and concrete, it has a zig-zag rubber joint. 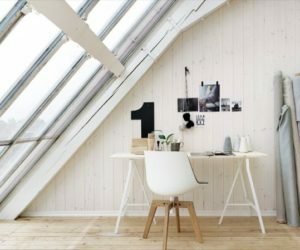 The frame is made of white powder coated steel. 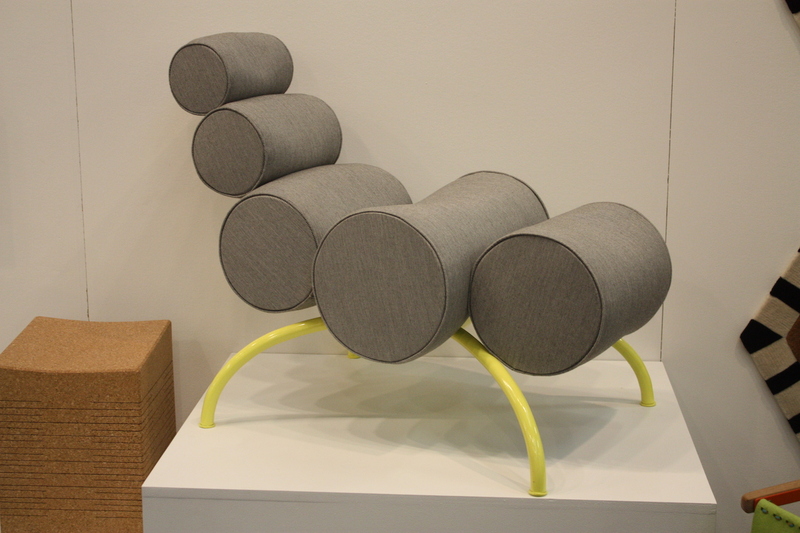 The contrast of the two materials, integrated with the rubber, makes for a very nice piece of furniture. 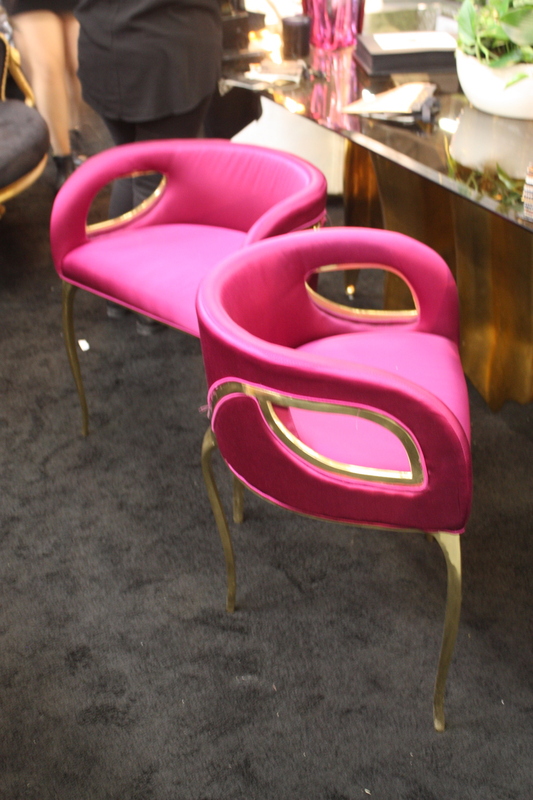 At the glamorous end of the design spectrum are these Chandra chairs by KOKET. 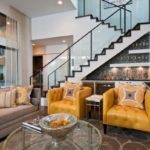 Their modern design still has a vintage feel, with the bright satin upholstery highlighted by the gold bands. 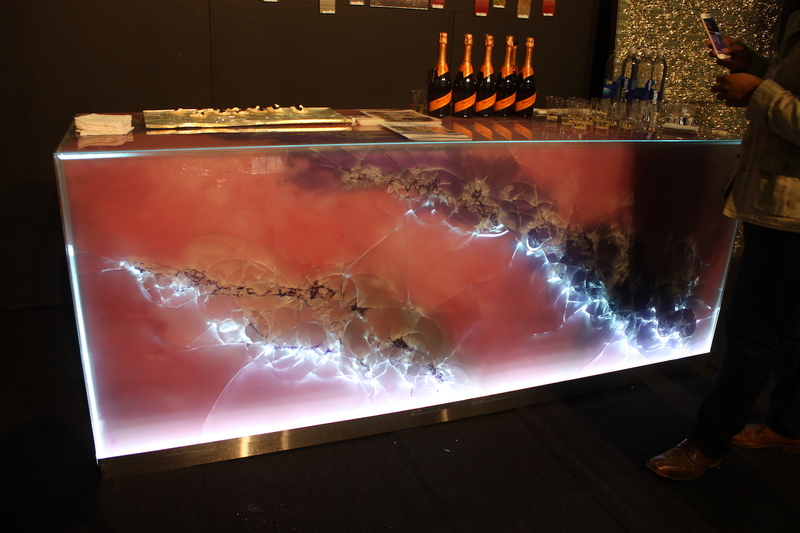 Glam and seductive, this lighted bar is by Cosmopolitan Glass, Inc., the industry’s leading manufacturer of custom architectural and decorative laminated glass. 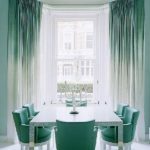 The Brooklyn-based company creates decorative architectural glass for residences as well as commercial properties such as museums, high-end hotels, banks, casinos and corporate offices. 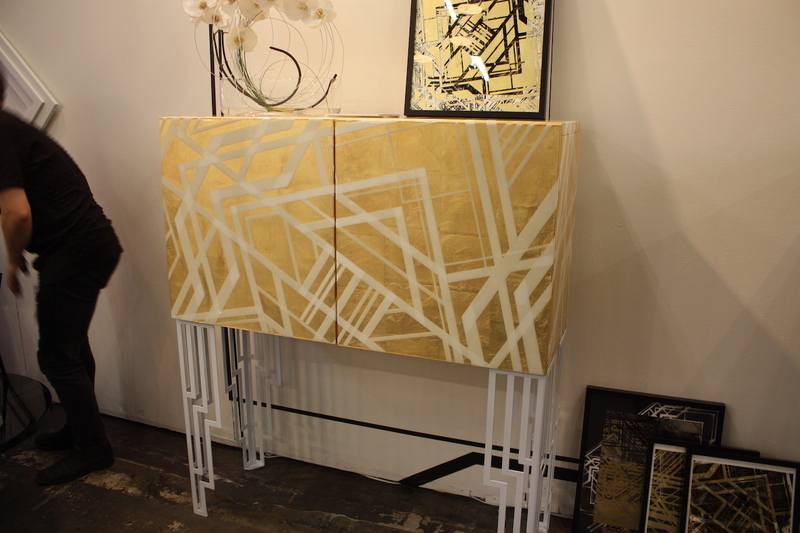 Gilded and glowing, this armoire from Kristof Galas is an opulent piece that adds a big dose of glitz to any room. The legs are fantastic. 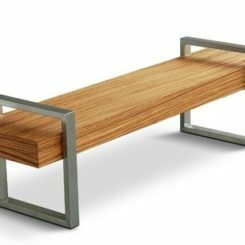 For those whose tastes run to the more traditional or casual, this bench from Dunes and Duchess is a fine example of versatile design. 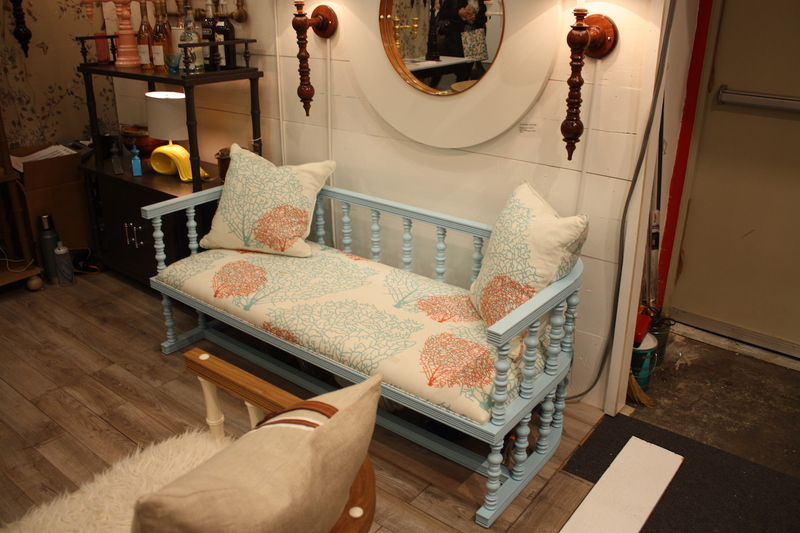 The muted blue hue and coral accented pillows help create very relaxed beach vibe. 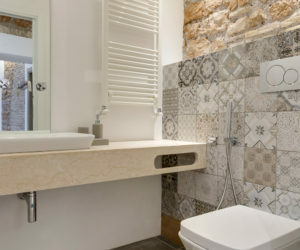 OK, so this isn’t really furniture, but architectural details are equally important in a home. 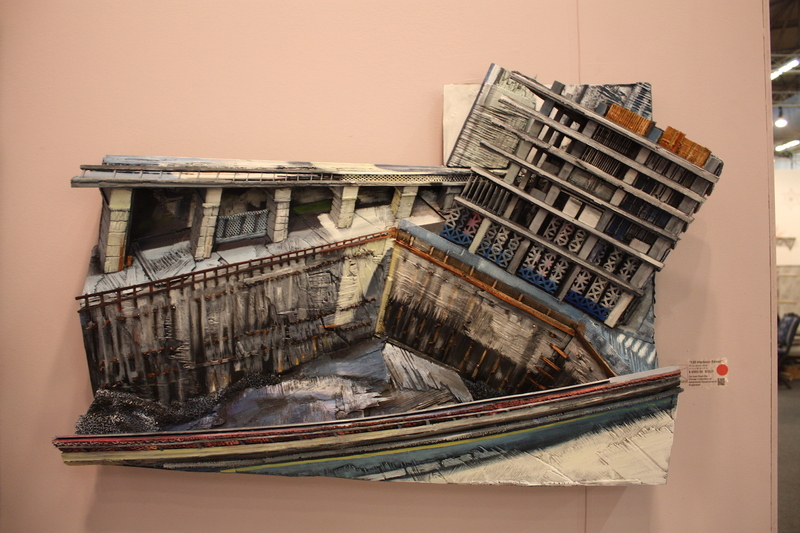 We couldn’t skip over Art For Everyday in this roundup of highlights. The company specializes in original architectural woodcarving design and production and offers more than 1,200 decorative corbels, capitals, mouldings, posts, mantels, appliqués, and other decorative architectural components that bring your home from basic to wow! We were very impressed with their collection of detail pieces. 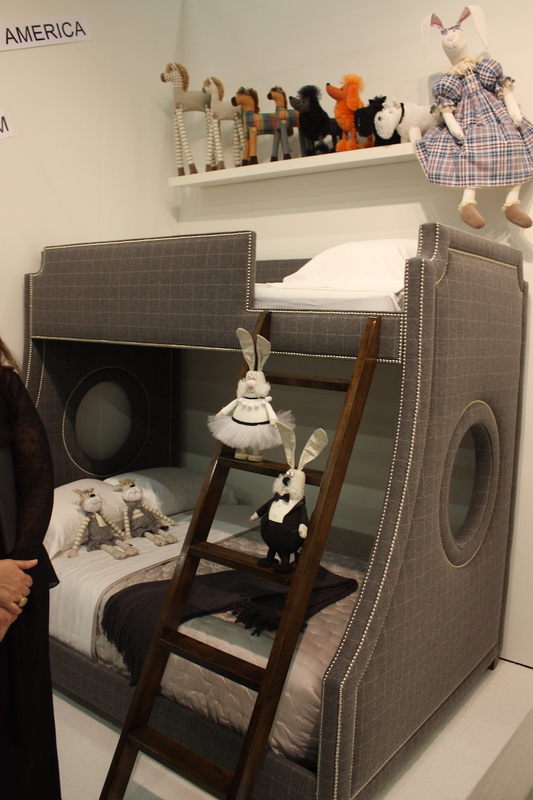 Rooms by Zoya B created this cozy and charming bedroom set, complete with stuffed animals we wanted to take home. 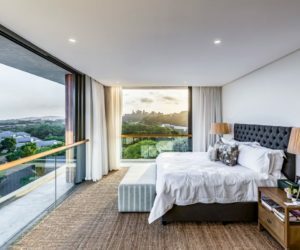 The designer’s rooms are influenced by classic stories like The Nutcracker ballet, Peter Pan, The Little Mermaid, Sleeping Beauty and The Wizard of Oz. The enchanting stuffed characters are designed by a Moscow theater designer. 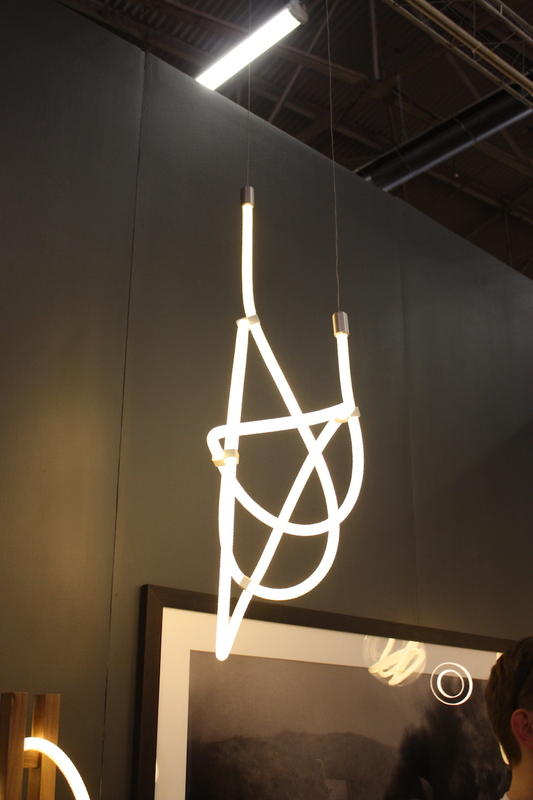 An intriguing puzzle of tubes, this lighting fixture by Neptune Glassworks would be perfect for just about any room of your home. 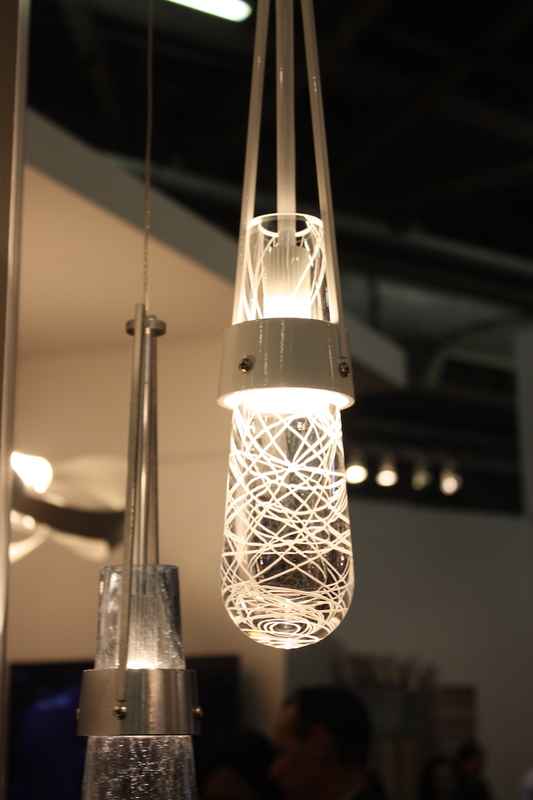 While Luke Lamp Company produces a variety of original light fixtures, their rope lamps are the most interesting. 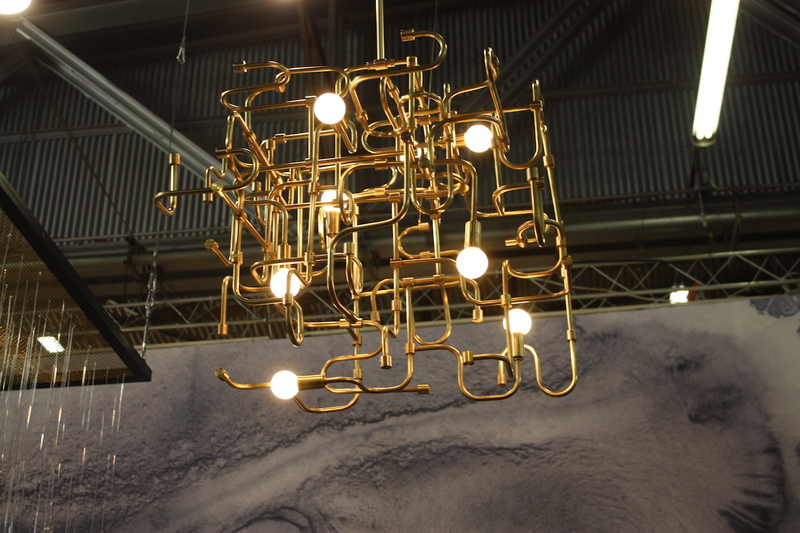 Created from LED lights and fiber tubes, the lights are one of the most unusual styles we saw. 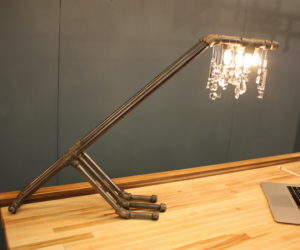 Starting with some found industrial fixtures, Luke rewired and recrafted them, only to sell out on Etsy. 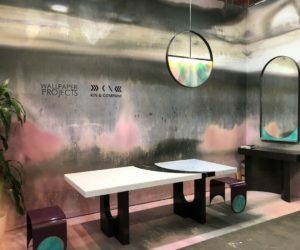 After being discovered by a major design blog, he started creating his own designs and now serves clients as big as Twitter and Urban Outfitters, and other customers in over 30 countries. 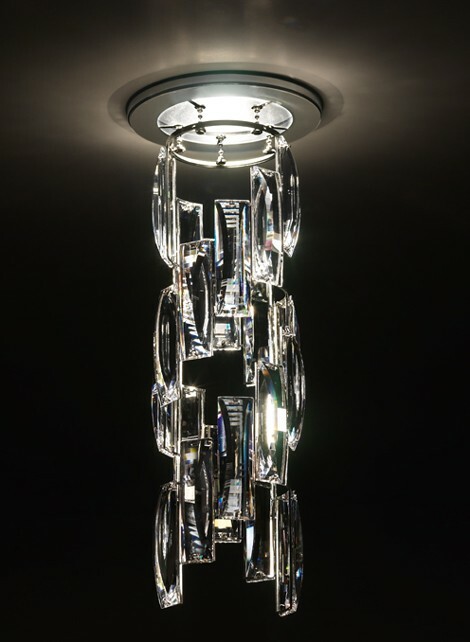 Hubbardton Forge had so many cool fixtures that we had a hard time choosing a highlight. This simple but compelling pendant stood out in its simplicity and sleek profile. Feeling nautical? 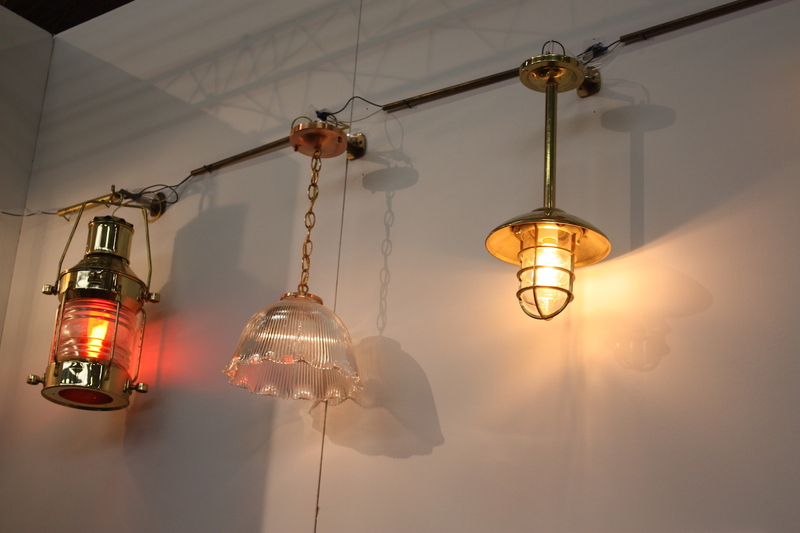 Shiplights had a fantastic array of ship light styles that would work in a beach house or a family home or apartment. 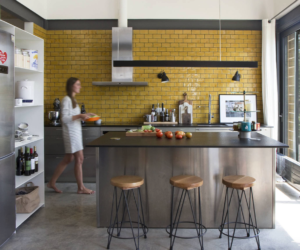 Their fixtures in solid brass and chrome come in a variety of finishes. These lights are so popular that they can be found in The Tonight Show Dressing Rooms, the New York Yacht Club, and the Disneyworld Polynesian Hotel. 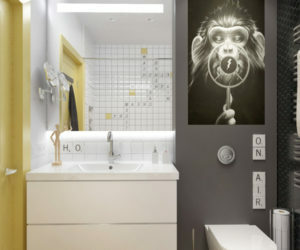 It’s a far cry from cutesy wallpaper with matching borders (thank goodness! 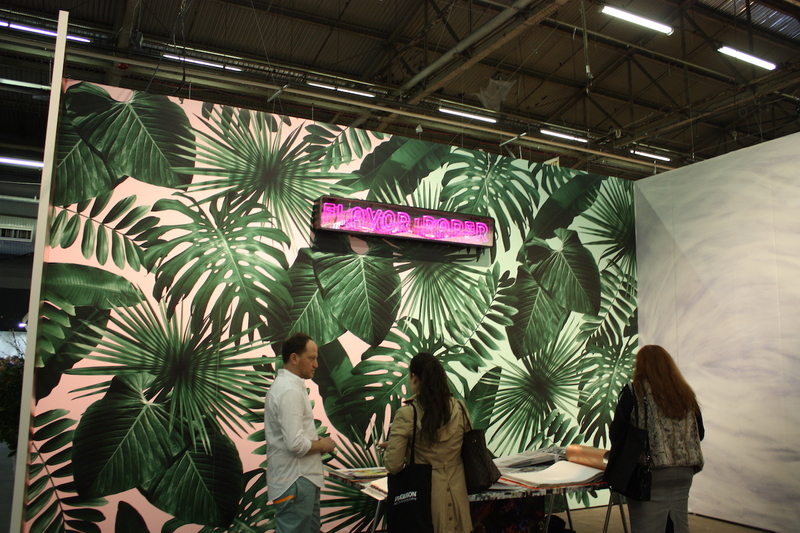 )…the bold prints and bright hues of Flavor Paper’s wall coverings are modern and bold. 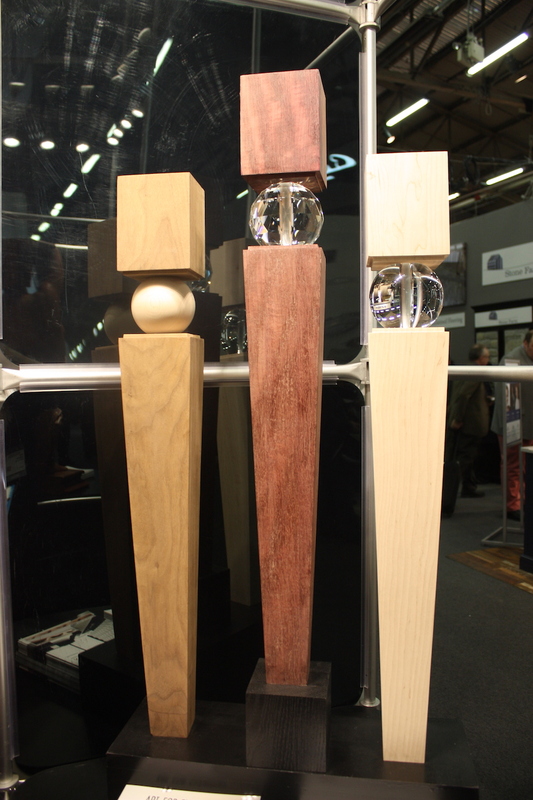 Reps proudly explained that the company has also brought back the metallic geometrics of the 60’s and 70’s. Perfect! If that’s your style, that is…. 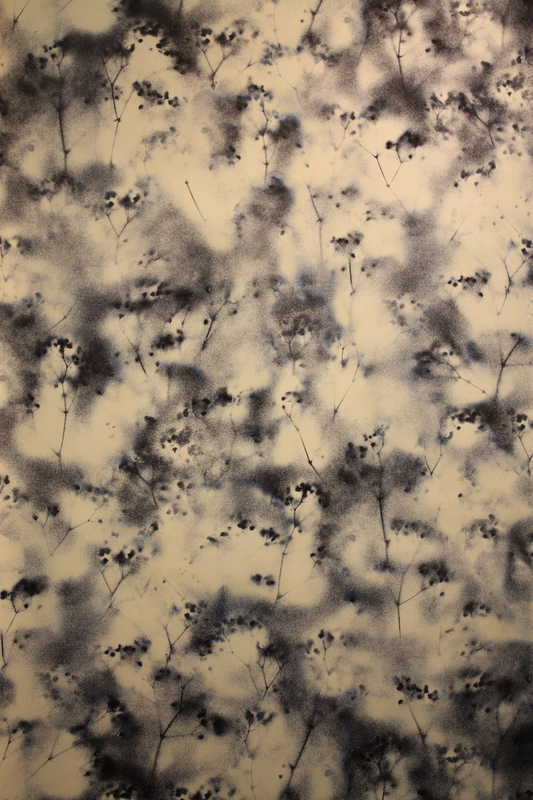 The organic feel of this wall covering by Moonish is very appealing. 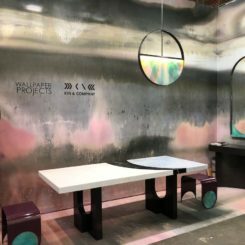 It is created from designs that are hand sprayed with real plant life and then digitally printed. 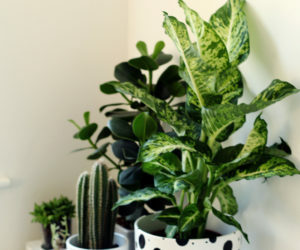 Although this botanical print has a bit of a boho vibe, it could easily have a place in a modern style of home decor. 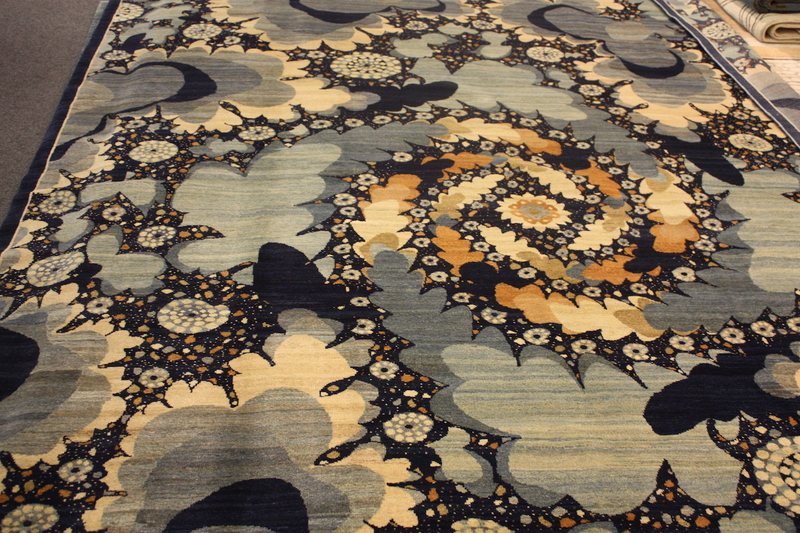 Made using the same techniques as the great masterpiece antique rugs, this one from the Galaxy series was designed by Iranian native Bahram Shabahang of Orley Shabahang. 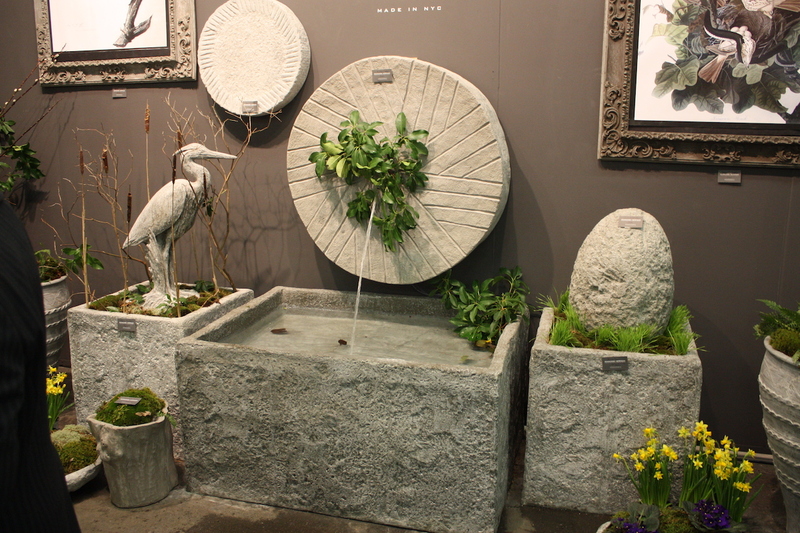 Pennoyer Newman creates all sorts of vessels and pots that are cast from estate originals. Company founder and late husband of Cecily Pennnoyer was the great grandson of John Pierpont “JP” Morgan, historic American financier and art collector. 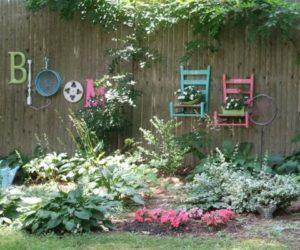 Unique access to Morgan’s original art pieces along with Cecily’s arts background allowed her to devise a method for casting these estate ceramic garden objects. While this may be primarily designed for city dwellers, even suburbanites will be attracted to Plantaria. 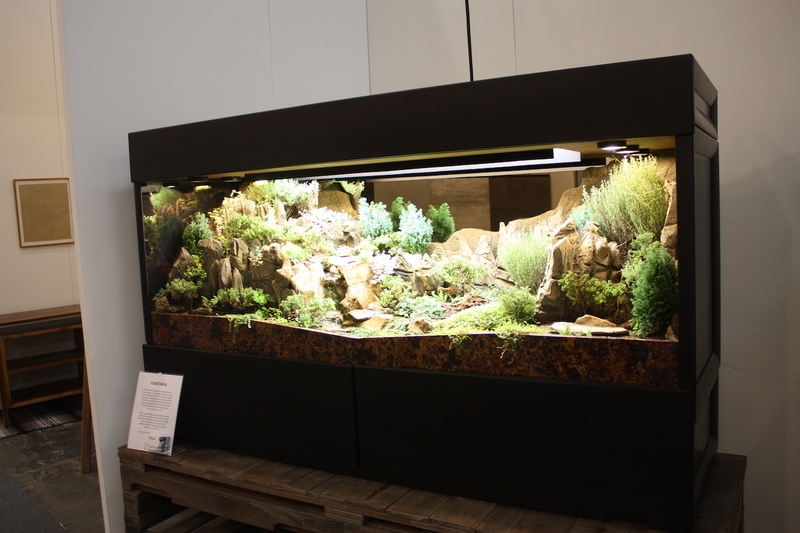 The start-up company draws on its decades of landscape and waterscape artistry experience to create these miniature, three-dimensional living landscapes. 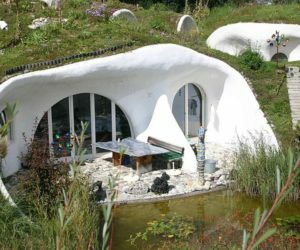 LED lighting and irrigation systems keep this amazing landscape green and fertile…but yes, you’ll still have gardening duties like weeding and pruning! 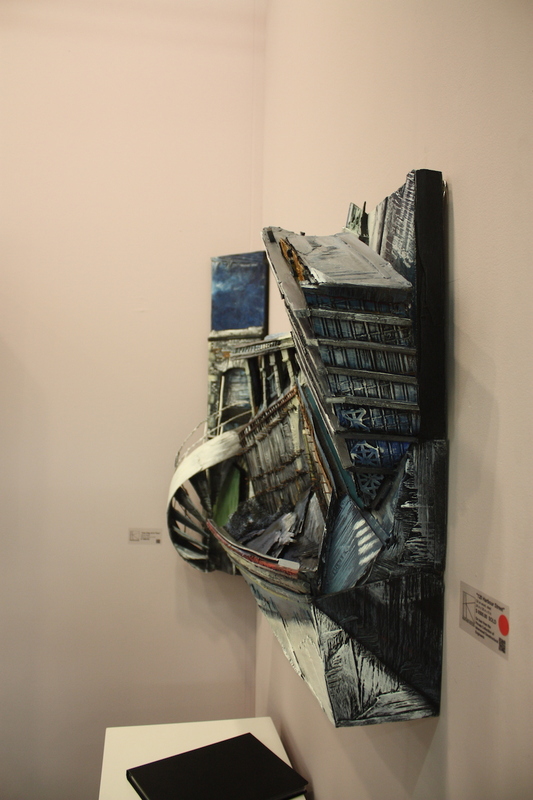 Canadian artist Heather Kocsis creates one-of-kind three-dimensional wall sculptures from wood. This is 120 Harbour Street, which captures the excavation of Ten York Condos by Trudel Development in Toronto. 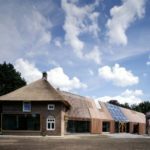 A good deal of her work is commissioned by engineering and construction firms. 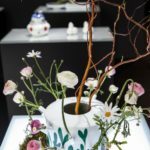 Viewed from the front, these lucite sculptures of vessels and flowers appear to by surrounded by a thin outline…until you look from the side. 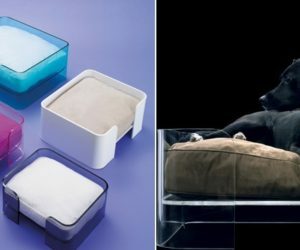 The thin line is actually a flat strip of lucite that mimics the shape of the main vessel. 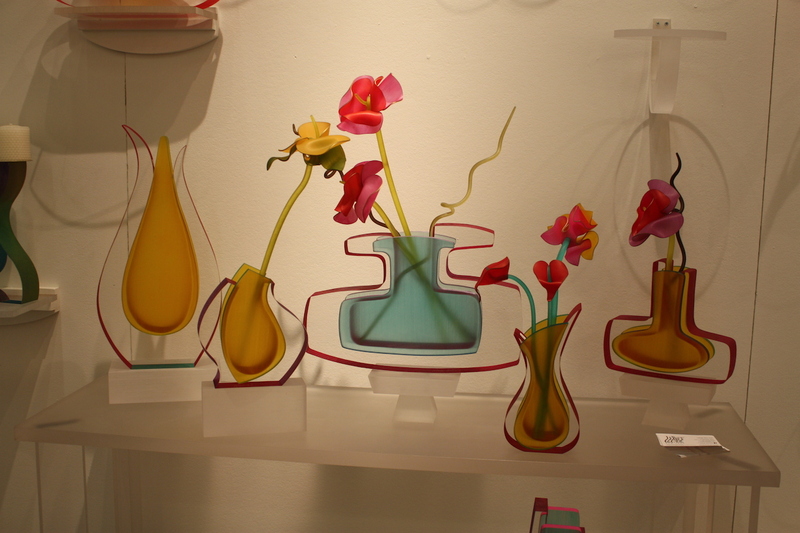 Created by New York City artist and product designer Cec LePage, they are a modern yet very fun accessory. We definitely want some! 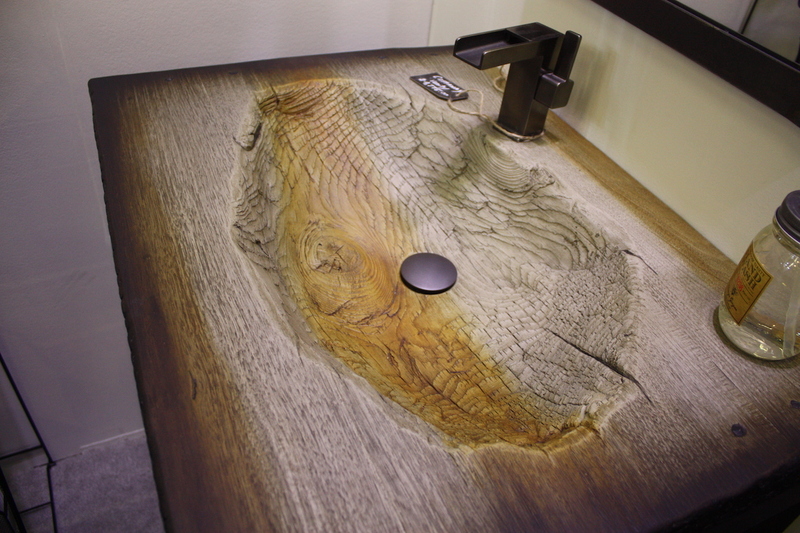 One look at this basin and it’s easy to see why JM Lifestyles is a leader in decorative concrete designs. 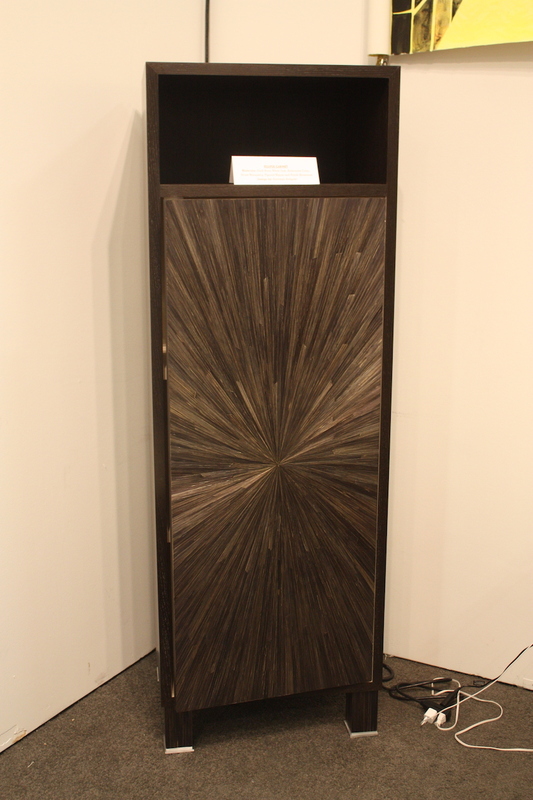 From afar or up close, it’s virtually impossible to declare that this isn’t made from wood. 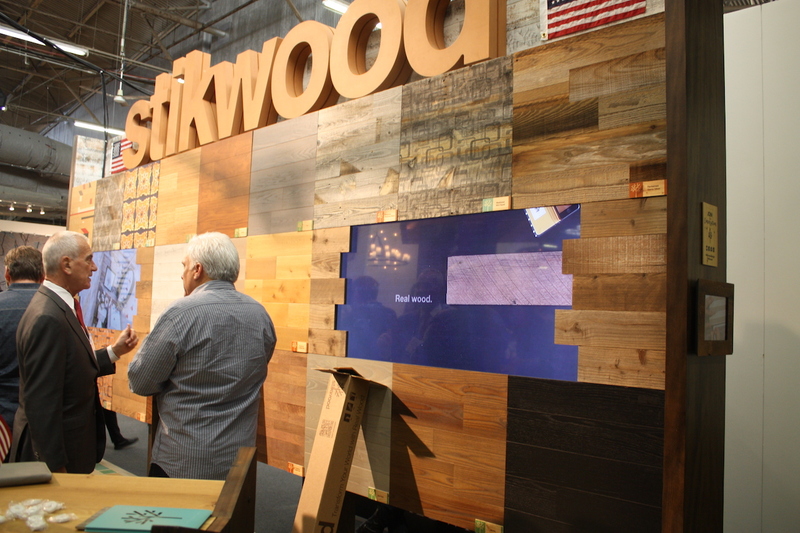 Their entire booth was an amazement. 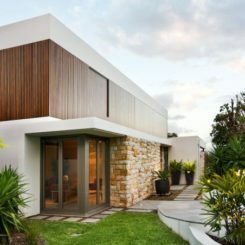 More than just concrete, the studio is versed in metal, glass, wood, light, and water. 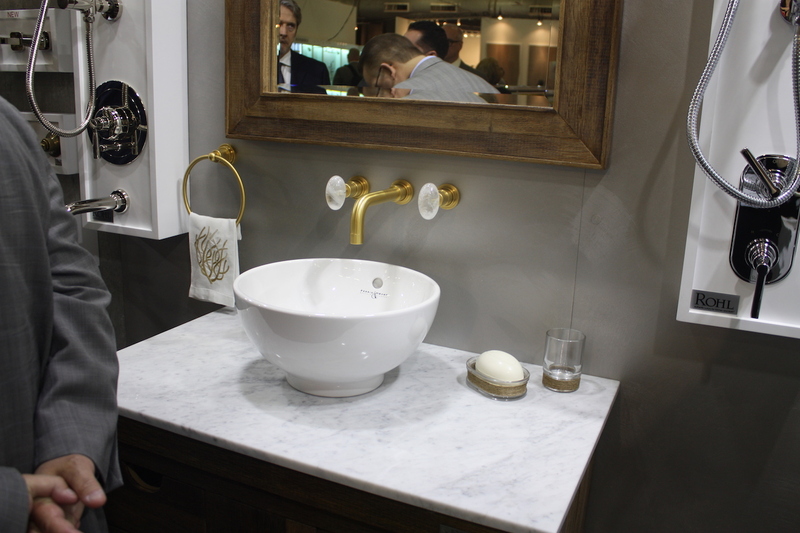 We’re still suckers for a vessel sink and this one from the House of Rohl is very elegant, particularly with the faucet mounted to the wall above. It’s just enough of a nod to vintage style without feeling too old-fashioned. 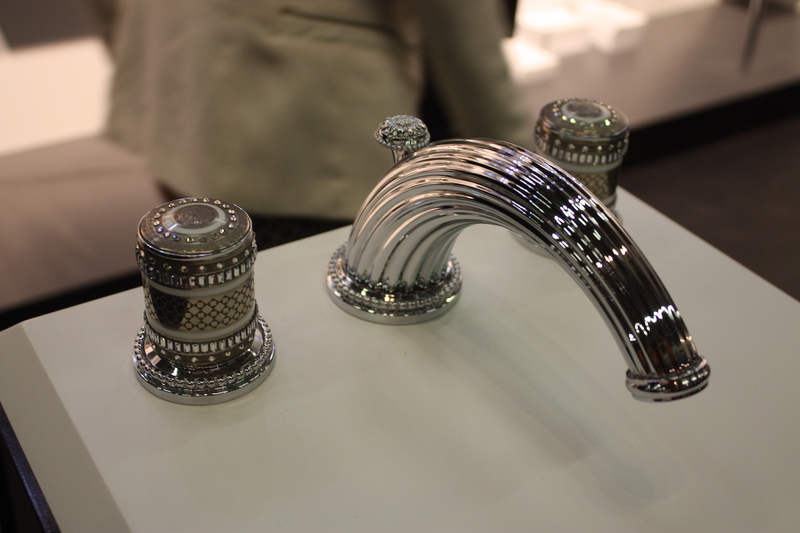 Amid all the sleek faucets there was plenty of bathroom bling, like in this gorgeous set from THG. 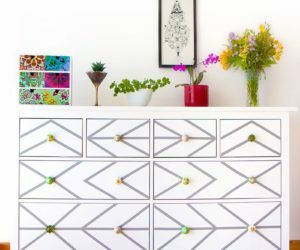 A strong trend is detailing in the knobs, ranging from colored geometrically shaped knobs to bedazzled sets like this one. 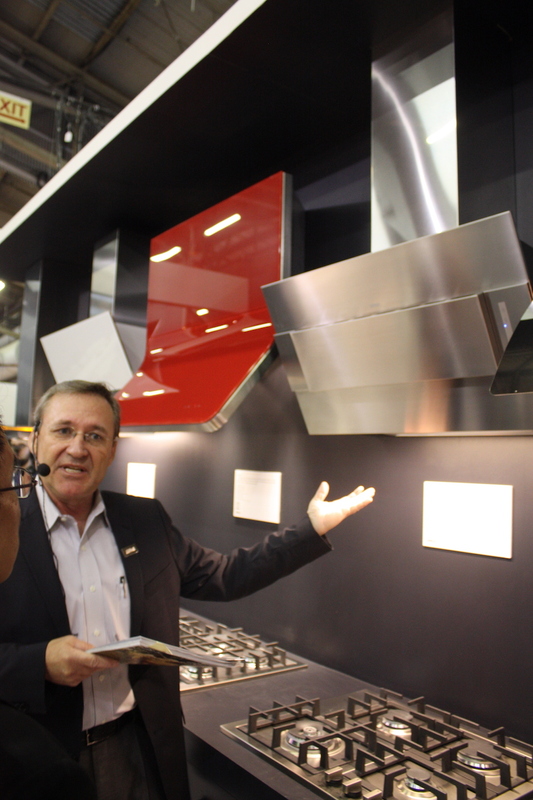 Along with the showcase “chef’s kitchen,” big, imposing range hoods have been all the range. 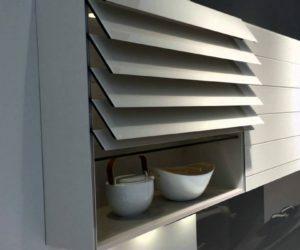 Now, with the growing trend of kitchens where everything is hidden behind a sleek exterior, it makes sense that low-profile range hoods are becoming more popular. These are by Zephyr and come in a number of very attractive styles. 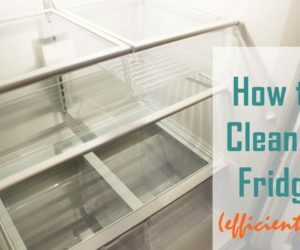 Whether you need one because you have a small kitchen or just like the look, they have all the functions of a larger hood, along with new smart technology. 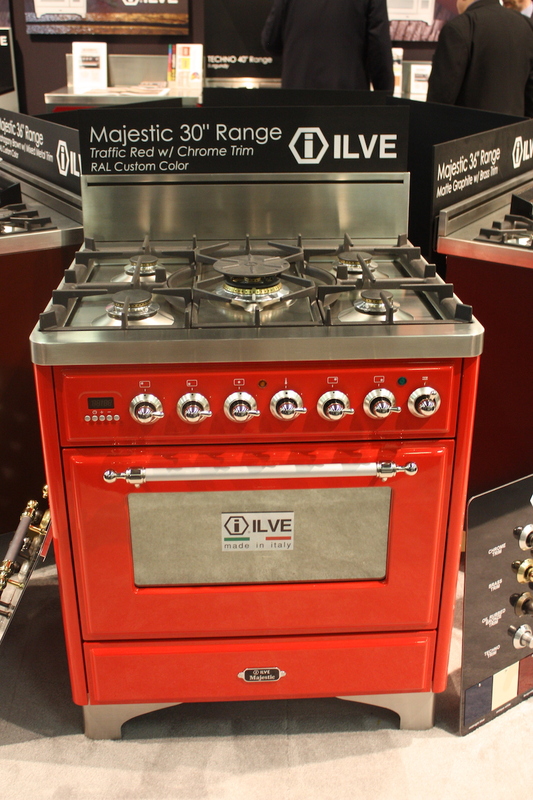 If you were to strip most ranges of their knobs and line them up, they would look very similar — except for a small number of brands including Ilve. These custom Italian ranges are truly made to your specifications, are available in 200 colors and sport European styling and burners that are powerful yet can adjust to a heat level delicate enough to maintain a sauce. 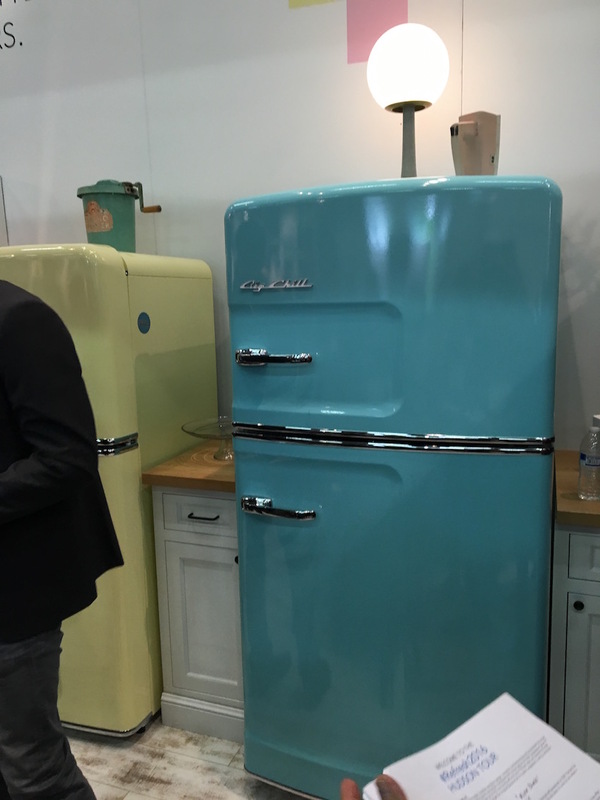 Colorado-based appliance company Big Chill is known for its retro styling and vivid colors. Since making a plash with their colorful refrigerators in 2001, Big Chill has introduced a full line of appliances available in hundreds of eye-popping custom colors. This turquoise model is their latest release. 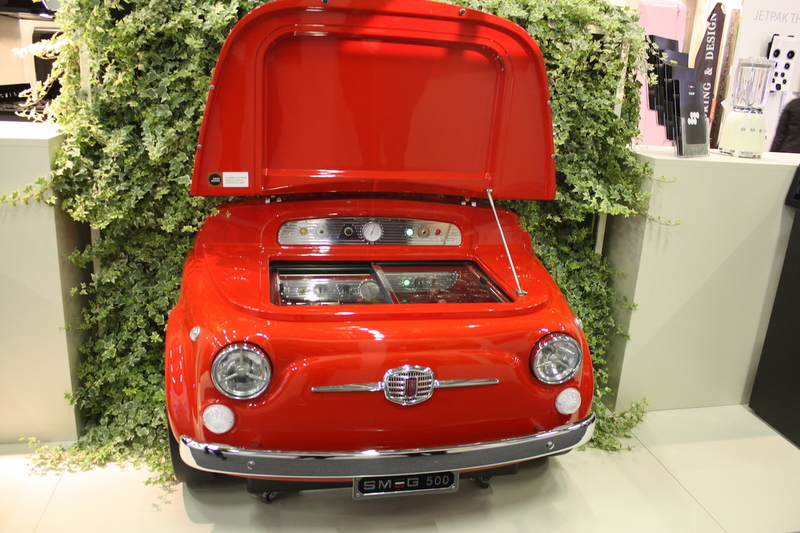 OK, we could tell you all about some of the latest cool innovations from SMEG, an Italian appliance company, but what we really want to show you is this cooler, made to look like the front end of a fiery red Fiat. What guy would’t want this chilling the beer in his man cave? 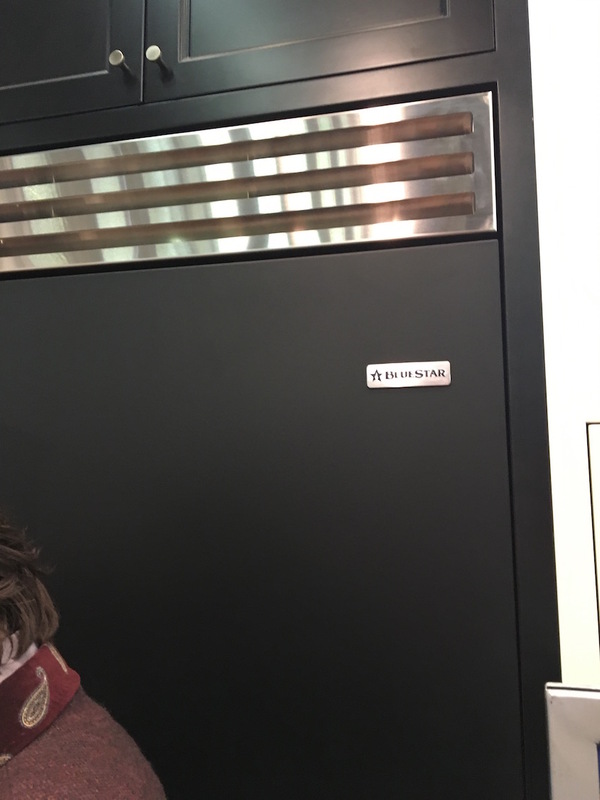 If you’re not keen on retro style or brightly colored kitchen appliances, you might just love the new matte black finish on BlueStar’s refrigerator — we sure do. 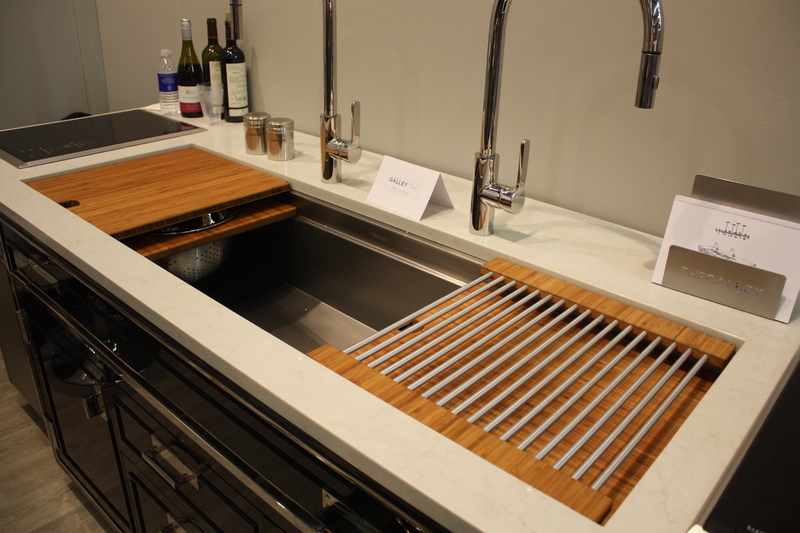 Just enough stainless steel accents keep it from being too dark and we must say it looks very classy! 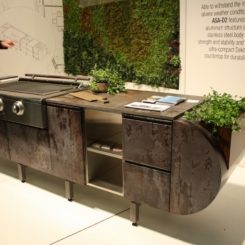 Outdoor rooms are huge right now and the growth in outdoor kitchens is also phenomenal, according to all the outdoor cooking exhibitors. 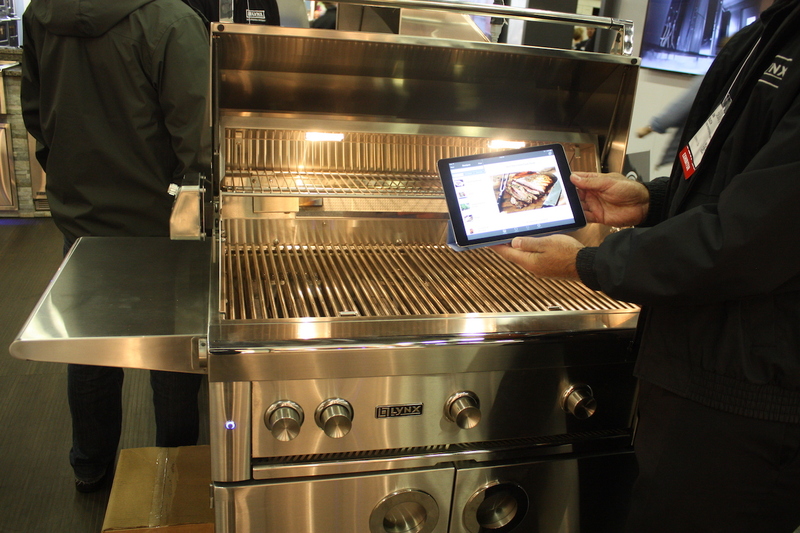 We fell in love with this smart grill by Lynx. Connected to your smart phone or tablet, you can program cooking times, among other features. Now, it’s not really an innovation that it can text you when it’s time to flip the steaks, but if you don’t answer its call, it will automatically lower the temp so your food doesn’t burn. Now that’s what we call smart! 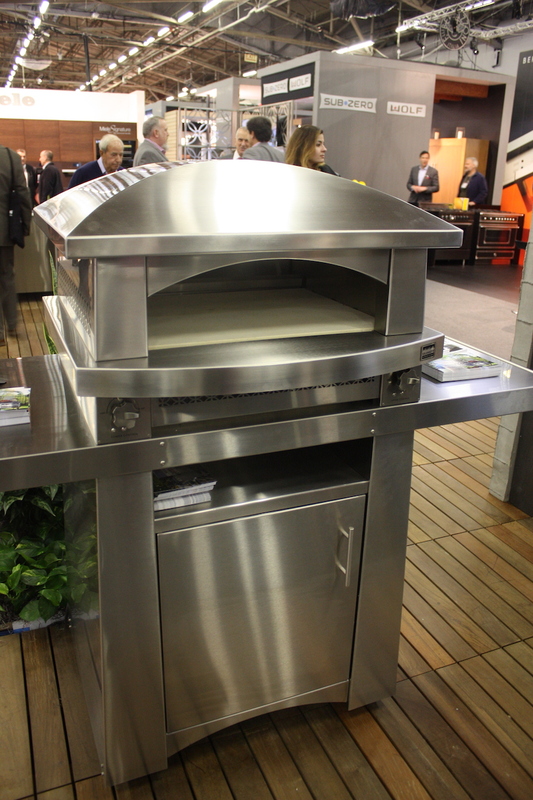 Pizza in the great outdoors is one of life’s unsung pleasures and if you really enjoy it, how about this pizza oven by Kalamazoo Outdoor Gourmet? 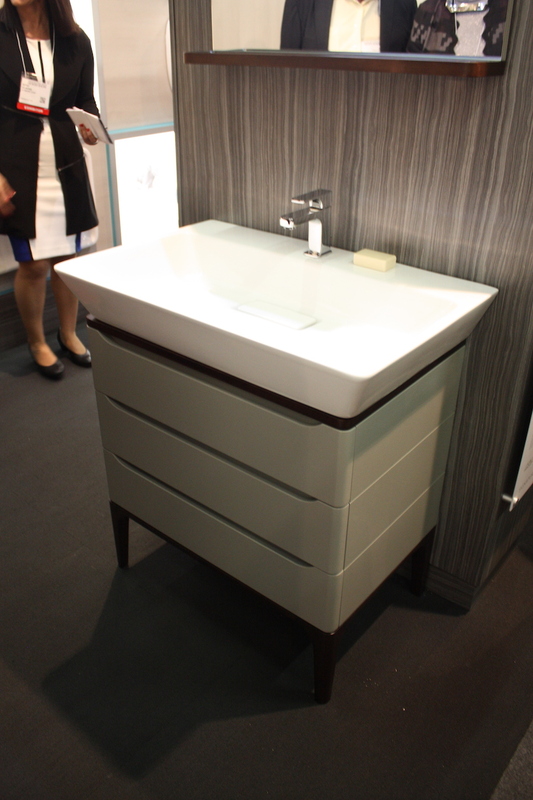 This is a free standing model, but the company also offers a countertop version. Of course, it’s not limited to pizza and can cook other items in its high-temp interior including meats. 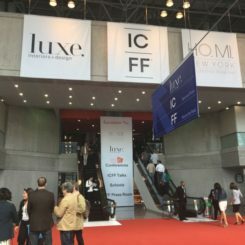 The show had so much that we want to show you, keep an eye on Homedit.com for expanded features on the trends and innovations we discovered at the Architectural Digest Design Show 2016.